Malt is one of the four basic ingredients in beer. But before it ends up in the brewer’s mash tun, it spent time at a malt house, where it went through a conversion from raw harvested barley into malt. And before it arrived at the malt house, it had to survive being grown, maturing and being harvested—all in just the right conditions. If there are hiccups anywhere along this stream, it can affect the brewery and how well the brewers can make their beers. Over the last few years, the malting industry has been making moves to take better control of this flow of grain from farmer to brewer. But there are some things that are beyond their control, and Mother Nature can stir up trouble in the supply chain. A number of factors conspired to make the 2014 barley growing season a bad one. A late spring pushed barley plantings close together across the growing regions. Staggering the plantings is a conscious risk-reduction strategy, as it allows staggering of harvesting. In this fashion, one stretch of bad weather doesn’t end up affecting all of the crops at the critical point of kernel maturation just before harvest. After the planting window tightened across the regions, major rain systems moved through the barley areas of both the U.S. and Canada in the midst of harvest, bringing damaging moisture. In parts of Canada, there was also a 72-hour stretch of damaging frost in early September, affecting crops that may have escaped the heavy moisture systems of the summer. In its analysis earlier in the year, the malting company Malteurop expected up to a 25 percent deficiency between supply and demand from the 2014 harvest, based on historical needs and expected crop yields. To counteract this, the maltsters needed to work their magic to salvage as much as they could from barley at the fringes of their typical acceptance criteria. There is also a push to turn around the 2015 crops as soon as possible, and likely there will be a need to import barley from outside of North America. With barley variety differences between North America and Europe, this will also test the North American maltsters’ talents to produce the desired malts for the U.S. brewers. 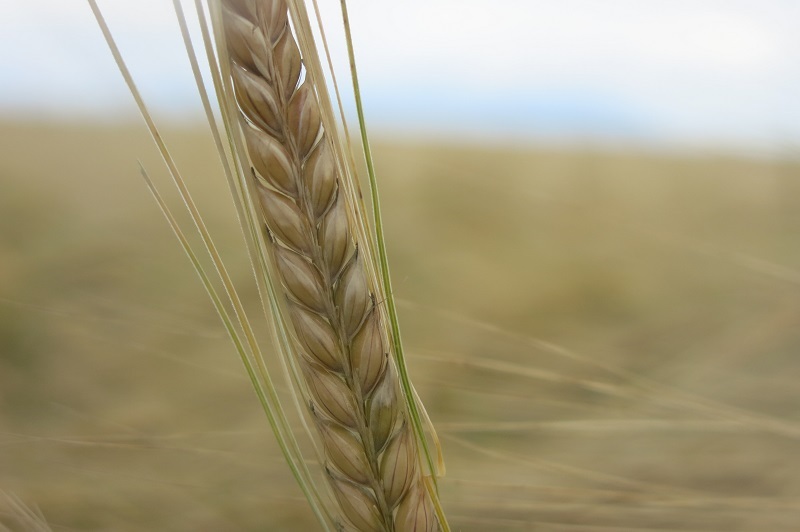 Bob Cuthbert, Canadian Wheat Board director of trading and sales, echoes Malteurop’s analysis of the 2014 harvest producing a poor yield and as a result driving up the price up for good quality malting barley. He also notes that the 2015 season, just recently harvested, is also struggling this year for Canadian growers. He notes that most of year the western prairie areas were dealing with severe drought, and then experienced a lot of rain in late summer. Even though barley plantings were increased by 14 percent to help recover from the 2014 season, production yield is expected to be about the same as 2014. The 2015 crop in Europe is shaping up to be a good year, so the expectation is it will counterbalance the struggling North American crop. The malting company Briess has dealt with the increased challenges of securing a supply of malting-quality barley by vertically integrating its supply chain. 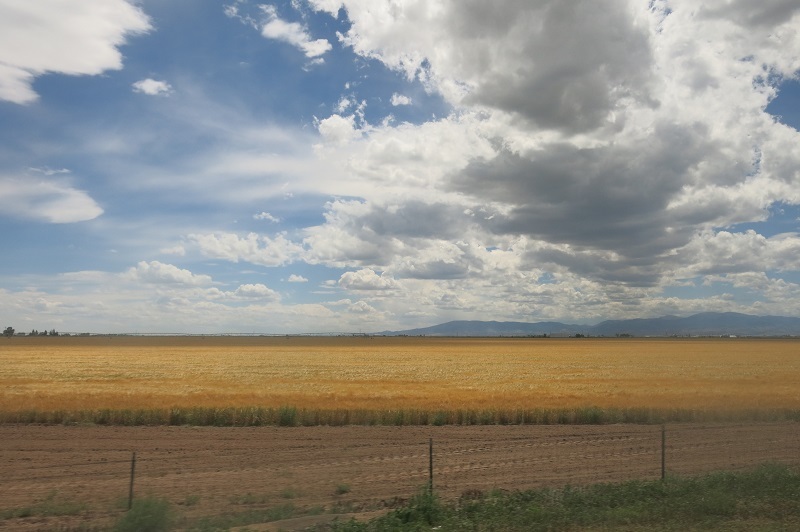 In 2013 it acquired significant barley storage and processing facilities in Wyoming and directly contracted with farmers to provide a flow of barley. The next year it established additional barley processing and malting facilities in Manitowoc, Wisconsin. In addition to its facility in Chilton, Wisconsin, Briess operates a network of three malt houses, each with enough storage to manage a year’s flow of raw barley and keep the malt houses operating 24/7, year round. Malteurop is working to bring barley closer to the malt house. Its malt houses were built in the historical barley-growing region in Wisconsin, but local crops have now shifted away from barley. As a result, Malteurop spends about $1.50 per bushel to transport barley from farms in North Dakota to its Wisconsin malt houses. It wants to find a way to bring barley growing back to Wisconsin. Derek Prell, Malteurop director of barley procurement, explains, “By reducing transportation costs of moving barley from the field to our malt house, we want to see if we can get local growers a good return on investment.” With transportation costs of only about 25 cents a bushel to truck the grain from local farms to its Wisconsin malt houses, Malteurop can turn around and pay a premium for local barley. By doing so, it hopes to drive competition in what farmers plant. Pilot Malt House is a small malting operation in Byron Center, Michigan, founded in 2012. It is currently sourcing all of its malting barley from Michigan farmers and working to develop a strong local barley-growing network. While it recognizes that its Michigan customers have a specific interest in Michigan-grown barley, it also recognizes that to truly establish its malting business, it has to provide a top-quality product. In meeting the quality standards, Pilot’s operators felt truly conflicted when they had to reject 50 percent of what was presented to them from last year’s barley harvest in the state. But local-grown barley does have marketability. Some Michigan brewers are finding traction with their customers in producing an all-Michigan product. Jeff Sheehan of Rockford Brewing notes that among its product lineup, the hottest seller is its Paradigm Ale, which is brewed from 100 percent Michigan ingredients. Sheehan says, “Customers are more understanding and accepting of minor variations of color or flavor because they know they’re getting a true local product.” Customers are showing their support in the way that counts—their wallets—as they support the growing and maturing local barley malt industry. Joe Schiraldi, Left Hand Brewing vice president of brewing operations, comments on the brewery’s experience in dealing with malt shortages: “Usually the problem is one of malt quality from a poor growing year. This raises the price as a general rule and increases your usage. A double-edged sword.” This is likely a snapshot of what will be experienced at a number of breweries across the U.S. this year as they deal with the downstream effects of the 2014 barley harvest. Whether or not this shortage ends up being detectable in your local beer store, you will at least have an appreciation of some of the behind-the-scenes work going on to keep your beer fridge stocked. A craft beer fan, Michigan beer evangelist and homebrewer, Brad Probert spends his time talking about beer to any who will listen.